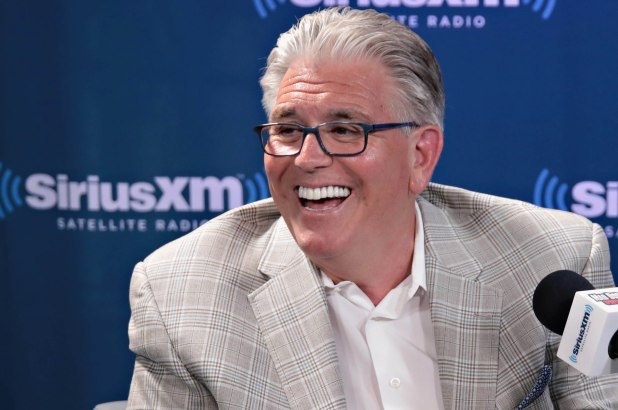 Mike “The Sports Pope” Francesa speaking out of school about the Jacob deGrom Contract. Although some fans may be disgruntled over deGrom declaring he may have a innings limit, let’s delve into this a little deeper. Jacob Degrom has had 4 Excellent years in the major leagues before his Legendary year last year. The guy is a rookie of the year, finished top ten in the Cy Young voting two times prior to last year, and most importantly, willed us passed the first round of the playoffs in 2015! New York radio voice Mike Francesa has been on a rampage, he has been destroying Jacob for proclaiming he have an innings limit…….He has kept proclaiming “performance is sacred” and “the Mets aren’t doing anything wrong.” However let’s put ourselves in deGrom’s shoes. He won 17 million in arbitration which is a lot of money. No reason to complain right? But how about this rationale, why is Jacob who has won a Cy young and finished top 8 two separate times in the voting making less money then guys such as Masahiro Tanaka, Homer Bailey, David Price, Cole Hamels, Stephen Strasburg? In what world will anyone of those pitchers out pitch Jacob Degrom this season? So this begs the bigger question, why is Jacob trying so hard to play hardball (no pun intended) and get what he deserves is his? Over the past four seasons Jacob has been a top 10 pitcher (arguably top 5) in the National League and he has made peanuts…..And now closing in on 31 years of age Jake wants what he has earned! He wants Sherzer money, he wants Price money, he wants security. 17 Million is a lot, however compared to his peers it is nothing. This brings forth a completely new issue. One can argue the Mets are doing this right by not negotiating off a brilliant season. Another argument can be, what is going on down on the farm? Why wasn’t Jacob’s potential realized earlier? Why was his development so slow? And you know what, if this was an isolated incident it would be forgivable. Why didn’t Brandon Nimmo a first round draft pick who had a OPS. close to 900. not have a full major league season till he was 25? Why is Peter Alonso still in the minors at 24 when other top prospects like Acuna, Nola, and Hodgkins getting to play everyday starting in their very early 20’s? Did anyone else watch Jeff McNeil come up and absolutely rake the baseball last year? Well he is 26. Why wasn’t the talent realized and developed faster? Jacob deGrom is a victim of a few things. He was brought up extremely late which undoubtedly hurt his earning power. He was put in a situation where he will only receive one real big money contract. If Jake got hurt tomorrow and couldn’t pitch again, he’d be a 31 year old who dominated for four years in the Mlb and had less then 30 million dollars to show for it. Take out taxes and agent fees and that’s a Cy young winner with a rookie of the year under his belt who made about 25 million in his 4 excellent seasons. Jacob may have made a comment that has annoyed some of us. But think about how he feels. The guy wants the security and money he has earned. Most of us tend to be a little loose with our tounges when we are upset and trying to negotiate. So Wilpons, Give the guy his money. Rip up his next two years of arbitration and offer Jake 5 years at 25 million a year, with a reasonable option for year 6. We all want to be there for Jacob deGrom day in the future. Perhaps even watch his number be raised into the rafters. And as far as Mr. Francesa goes, the day you work for a dollar less then what you feel you are worth you can bad mouth Jacob.